Sometimes you want to change the look of a photograph or just try something new. 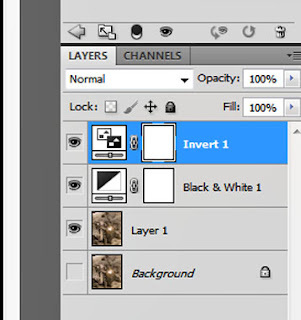 Inverting the image is an interesting way to do that, especially if you want a high contrast final image. For this post, I am going to start with an infrared photograph of Christmas tree ornaments taken with a Nikon D90 with a supercolor (590nm) conversion. Figure 1. Original IR image. This image was taken at Matthaei Botanical Gardens in Ann Arbor, Michigan. They had a number of trees in the greenhouse that were decorated by various businesses. This tree had some interesting wooden spoons that looked like people. The original image was interesting, but it had relatively low contrast and the overall feeling was 'meh.' I wanted to add a bit more drama to the image. Hence, the inversion process. A simple inversion of this image using Layer > Adjustments > Invert or a simple inversion adjustment layer (my preference), would give you a blue image that looks like this (Figure 2). While that might be an interesting starting point for some images, my goal was is to create a contrasty black and white image. 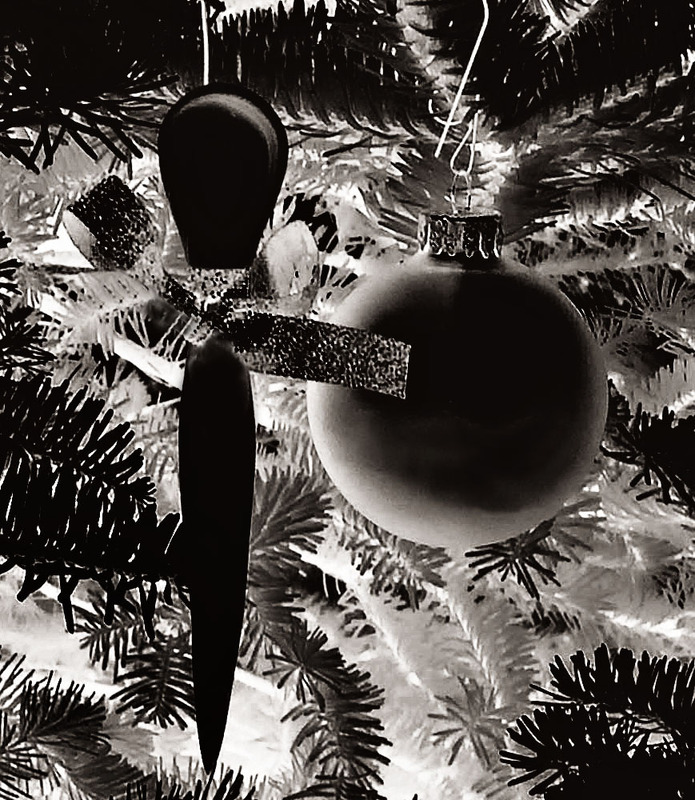 To do that, I used two adjustment layers - a black and white adjustment layer and an invert layer. The layer stack is shown in Figure 3. Figure 3 . Layer stack for inversion. At this point, the image will look a little strange but much of that can be ironed out by returning to the Black and White adjustment layer and moving the sliders to get an image that looks more like a film negative. From there it's a matter of giving the image more contrast and cleaning up some of the ugly bits that occur during the inversion process. 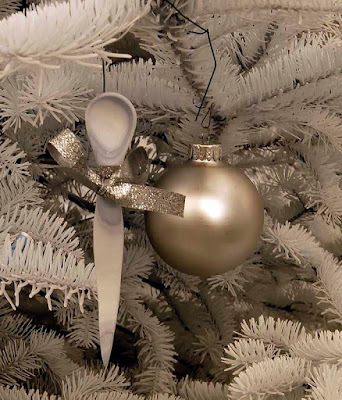 For example, I used a white brush on the spoon in layer 1 to make the spoon uniformly dark and I used the same technique to even out the inverted hotspot on the bulb ornament. The final image is shown in Figure 4. Figure 4. Final Inverted image. 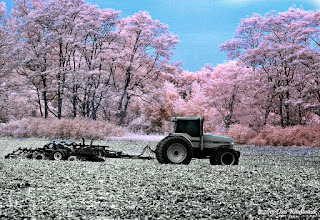 Please let me know if you found this post helpful..
Infrared or ‘IR’ photography is a small but growing photographic niche that allows photographers of all abilities and budgets to expand their skills, augment their artistic vision, and create unexpected and exciting images that cannot be captured in other ways. 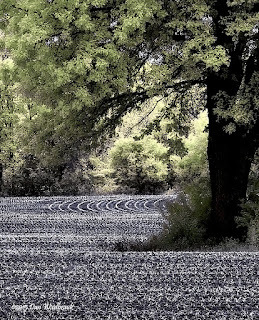 For the landscape photographer, IR photographs capture surreal images hallmarked by white foliage and dark skies – images that are at once familiar and unfamiliar. 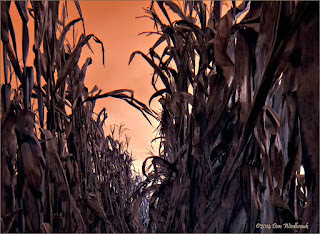 With a few manipulations, the sky can be blue and he foliage can be golden, lavender, or red. 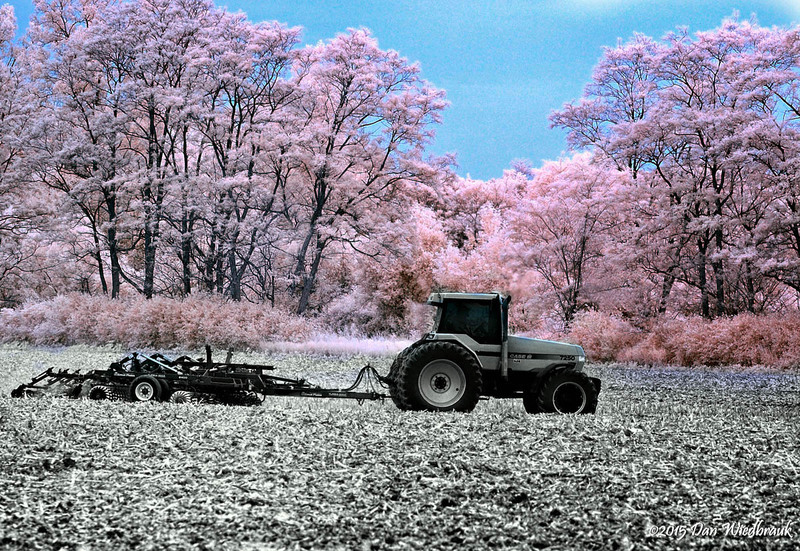 Black and white IR landscapes are striking even when the trees are bare. 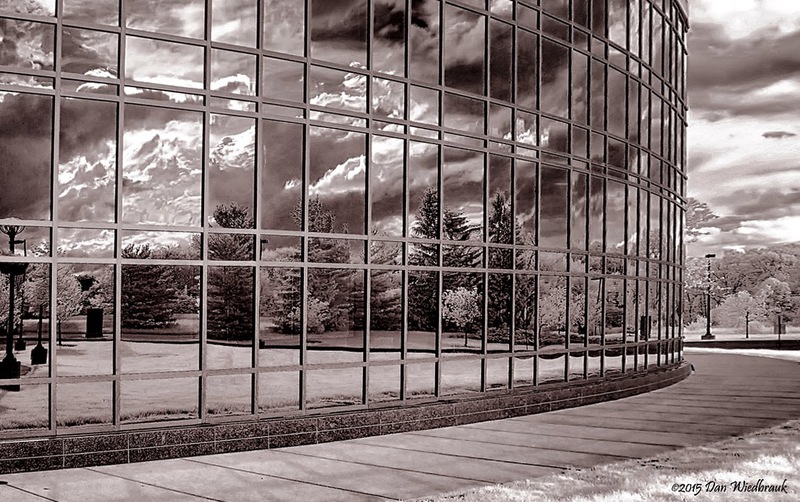 Architectural photographers are employing IR methods because the black and white images are contrasty and they often resemble high quality architectural drawings. 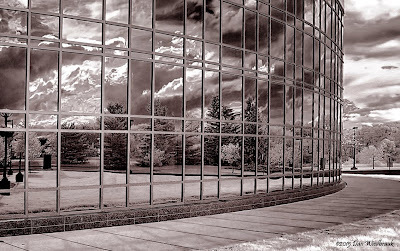 Because IR light is reflected differently than full spectrum light, IR photos often reveal architectural details that are masked in visible light photography. Lake Avalog near Hillman Michigan. A growing number of wedding photographers are creating dreamy high key and IR fantasy photos as a value-added service. Fine art photographers use infrared photography to produce unique low key studies of shape and light and portrait photographers use IR to create flattering high-key images (and some creepy images) featuring dark eyes and porcelain skin. 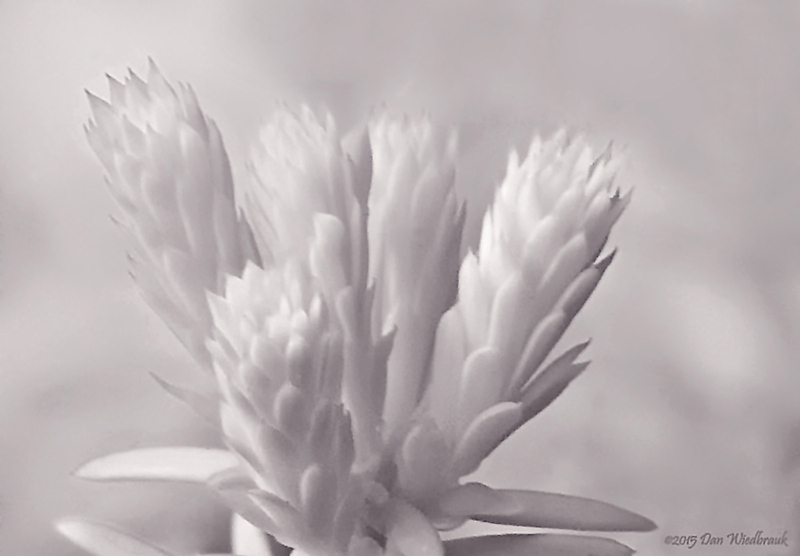 Even macro photographers are employing IR methods to capture eye-catching images of flowers, technology, and insects. The reason for the growing appeal of IR photography is the widespread availability of IR-capable digital cameras. IR film was touchy, relatively expensive, and often difficult to use. The IR learning curve was steep in the film era because it could take days to realize you screwed up the shot. With digital cameras, the “shoot, evaluate, adjust” cycle can be performed immediately after the image is captured. Immediate feedback allows photographers to acquire knowledge and experience more quickly than they ever could when shooting IR film. In addition, it’s cheaper to climb the learning curve with digital photography because there is no film to purchase and develop. Like any form of photography or art, your reaction to IR photography is a matter of personal taste. Some people love it; some can’t stand the “look” of an IR photograph. 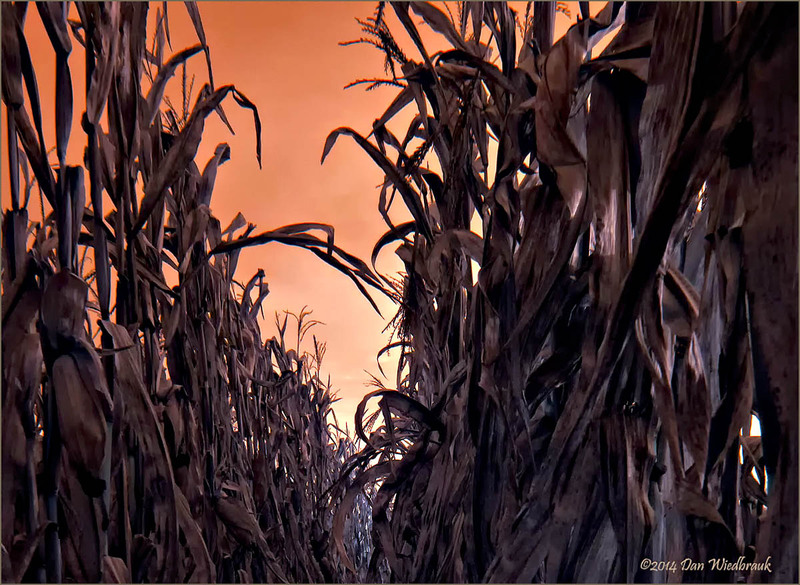 I strongly urge every wannabe IR photographer to examine a wide variety of infrared photographs before they start spending money on new equipment. Looking at a variety of IR images is not only enjoyable, but it can shorten the learning curve by allowing the neophyte to concentrate on an IR style or look they find most appealing. 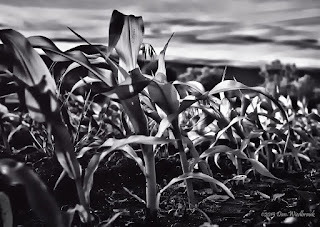 To get you started with IR photography, I have included some gallery links at the end of this article. The next major thing you will need is a RAW processing program and some photo manipulation skills. If your usual photographic style is to shoot JPGs and you are driven to “get it perfect in the camera” you may become frustrated by the IR photography experience. 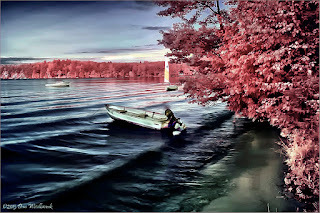 With very few exceptions, most IR photographs have to be manipulated after capture. One major reason for image manipulation is white balance. 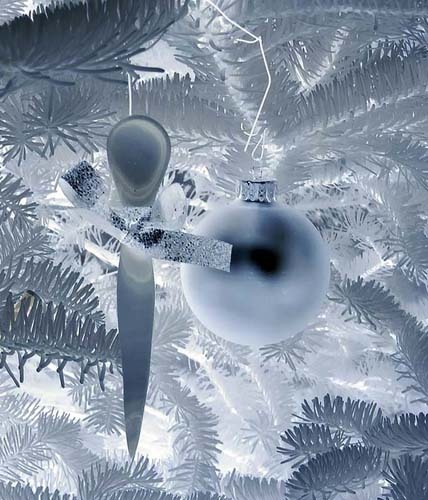 Only a few older Nikon cameras are capable of accepting a custom white balance that works for IR photos. Therefore, Nikon camera users must shoot RAW images and set the white balance with external software. In addition, most IR photos are dull and flat right out of the camera and adjustments are needed to make them presentable. The blue and green sky effects are created in post-processing. That said, LifePixel now has a hybrid filter that gives blue skies right out of the camera. For those who are primarily interested in gear, this is where the good stuff starts. 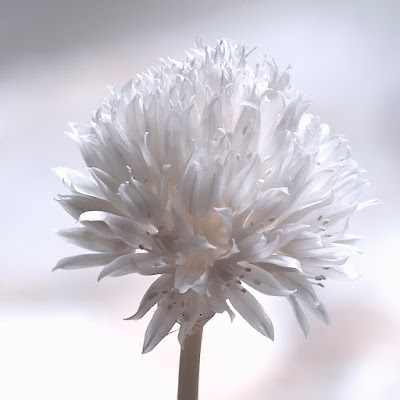 There are two primary methods for creating IR photographs - attaching an external IR cut filter to your camera lens and putting the cut filter inside the camera. 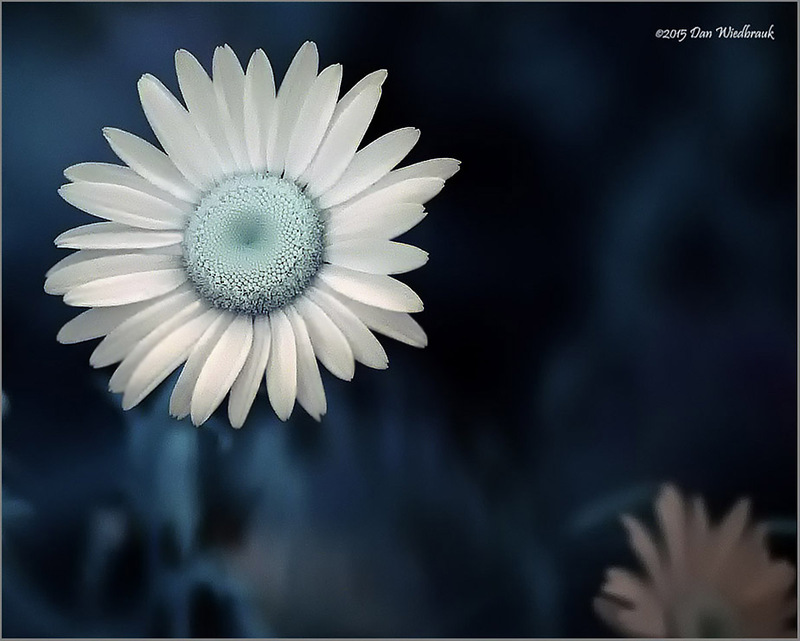 An external filter allows the photographer to use their camera for normal photography when the filter is removed. IR conversion voids the camera’s warranty and after conversion, the camera becomes a dedicated IR camera. External IR filters are usually a good place to start for most new IR photographers because filters are less expensive than camera conversion. External filters also have some challenges. 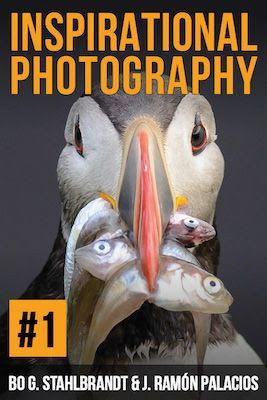 The first challenge is that the filter is opaque to visible light and once the filter is attached, the photographer can’t compose or focus accurately through the viewfinder. Most filter users shoot in manual mode, set their composition and focus, and then attach the filter. The second challenge is that the filter reduces the amount of light striking the sensor by 5-7 stops. This means that longer exposures are necessary to get a good exposure. You can compensate for longer exposures by increasing the ISO, but that will eventually produce more sensor noise. Another major complication is that longer exposures contribute to motion blur. Photographers who use external filters will need a sturdy tripod to produce the best results. The last major challenge is setting the white balance and color rendering. 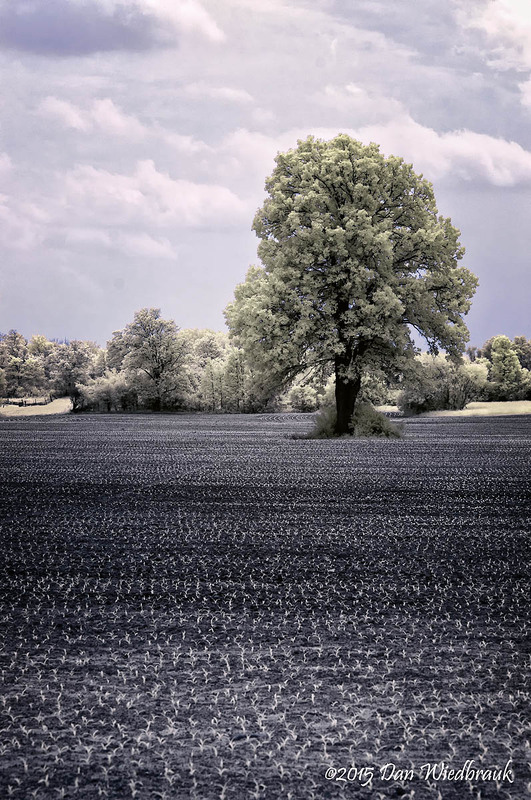 Despite these challenges, many wonderful IR photographs have been created using external filters. External IR filters work especially well for studio work, for creating silky flowing water effects, architecture photography, and for landscape shots on a calm day. The standard IR filter is the Wratten #89B filter which blocks 50% of the incoming light with a wavelength shorter than 720 nm. Also known as the Hoya IR72 or the Heliiopan RG720, this filter produces excellent IR photographs. Stronger filters including the Wrtten #87 (Hoya IR80 or Heliopan RC800) will eliminate 50% the light with wavelengths shorter than 800 nm are also available but the filter price is generally higher. Exposure times will vary depending upon the type of filter, the sensitivity of the camera sensor, the strength of the IR blocking filter in the camera, and of course, the amount of IR light. That said, exposure times usually range from 10 seconds to 120 seconds for photos taken on a sunny day. The last option for IR photography is to have a DSLR converted for exclusive IR use. This is more costly, but it produces the best results and offers the most photographic flexibility. This option involves camera disassembly and removal of the IR blocking filter that sits in front of your DSLR’s sensor. The IR blocking filter is replaced it with a filter that blocks visible and ultraviolet light. What are the benefits to this approach? The major advantage is that you can use your DSLR just as you do today. Exposure values and shutter speeds are similar to the values used for visible light images and you won’t have to waste time prefocusing and attaching the filter before shooting. And with a converted camera, you can shoot moving objects. As an added bonus, the conversion process removes the anti-aliasing filter that sits in front of the sensor. This can give your images a little boost in sharpness. The disadvantages of using a dedicated IR camera are increased cost, the inability to use the converted camera for anything other than IR photography, and voiding your DSLR’s warranty. I got around my warrantee phobia by converting an older D90 that was sitting, mostly unused, in the closet. Once you decide to convert a DLSR, you will likely experience a bout of ‘analysis paralysis’ trying to decide which filter to have installed. This is where the Infrared Photography Forums are invaluable. There, you can ask a group of experienced IR photographers which choice they made and why. 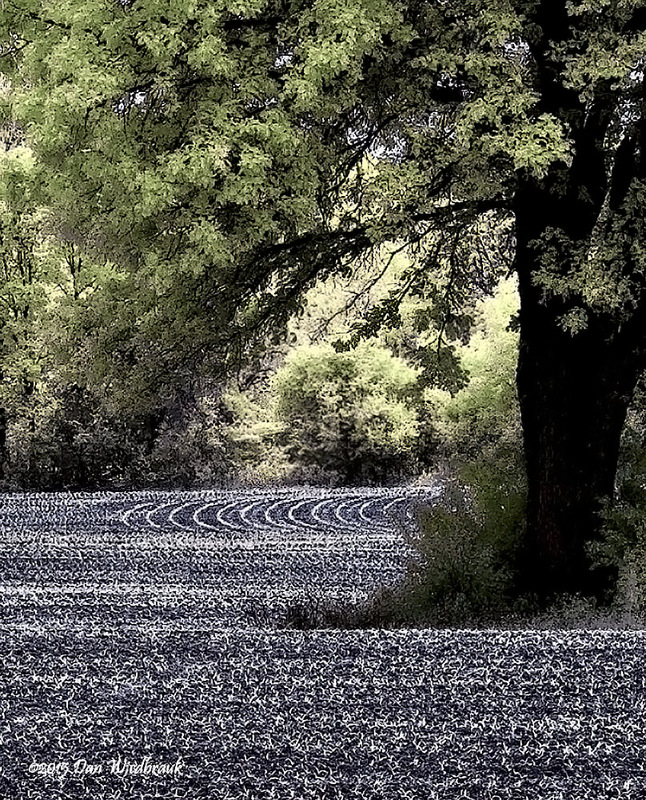 Here’s a conundrum that may set your Nikon Acquisition Syndrome into a tailspin - some of Nikon’s very best lenses can be total duds for infrared photography. The major problem is hot spots. A hot spot is an area in an image (usually in the center) that appears to be lighter or brighter than the rest of the image. 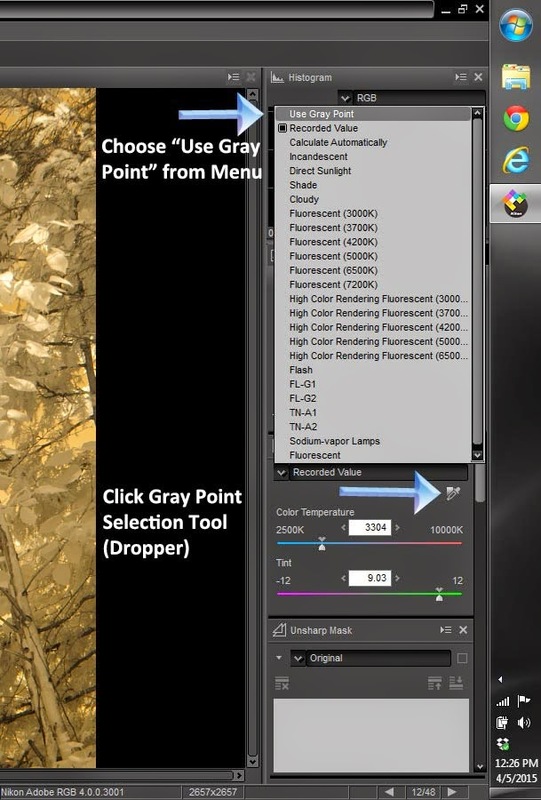 Hotspots can also produce color shifts in the image that are difficult to remove in post processing. There are several reasons why hot spots occur, but the most common culprit is the black coating on the inside of the lens barrel. This coating is designed to absorb stray light and keep it from bouncing around within the lens. 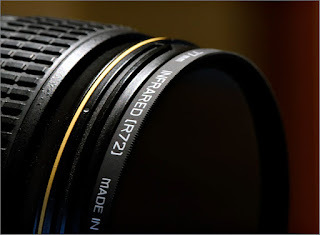 Lenses are designed for visible light photography and the coatings are well tested for that use. However some coatings don’t work well for IR light and the reflected light can produce a hot spot. Certain lens coatings can contribute to hot spots in the much same manner. To confound the hot spot issue, there appear to be camera-related conditions (e.g., reflective microlenses or sensor elements) that conspire with lens designs to create hot spots when the aperture gets smaller. Camera specific contributions may be one reason why some lenses have different in hotspot reports in different lens databases. In general, the Nikonians IR lens database provides an excellent initial resource for determining if your Nikon lens has hotspot issues. Websites from Kolari Vision, Nasim Mansurov, and Bjorn Rorslett provide even more IR lens compatibility information for Nikon lenses and lenses manufactured by other companies. Some of the more popular “good performer” lenses include the Nikkor 18-55mm, the 18-200mm, and the 16-85mm VR lenses. Another lens challenge is focus shift. Light bends when it passes through a lens and the amount of displacement depends upon the wavelength. Ultraviolet light bends the least while infrared light bends the most. Modern lens designs compensate for light bending and they are able to perfectly focus the middle of the spectrum on the sensor surface. Unfortunately, this means that the infrared light is back-focusing when the viewfinder says the image is in focus. Focus shift is especially problematic when wide angle lenses are used. (Wide angle lenses are the most ‘bendy’ lenses in your kit. They generate much more focus shift than long focal length lenses.) 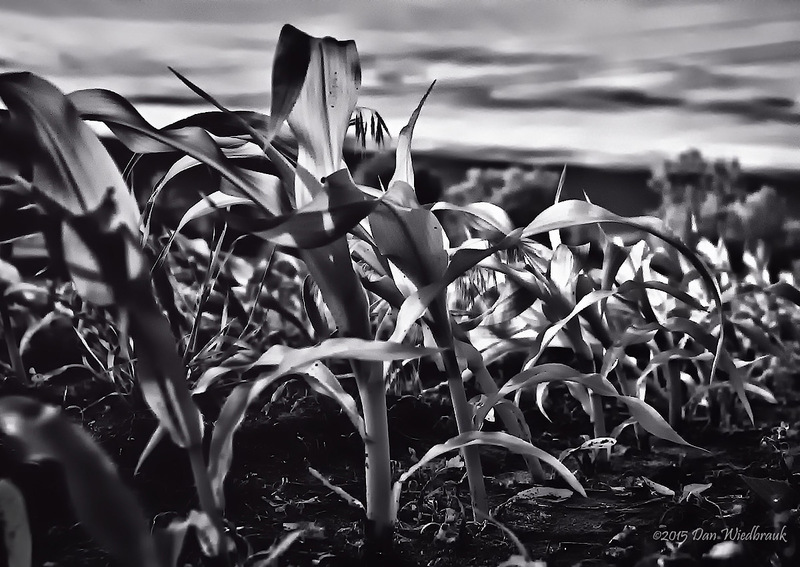 From a practical standpoint, this means that you have to focus on objects in front of your subject in order to get a well-focused IR image. Older lens designs with a distance scale often have a dot or bar indicating the infrared focus point for images that would normally be captured with infinity focus. When reputable IR conversion services alter a camera, they will adjust the focus calibration to compensate for focus shift. This calibration is done at a single focal length and the farther you go from that calibration point, the more focus error you will accumulate. Live View can compensate for this type of error because the focus engine uses the sensor image rather than the visible light image to control the focus. Stopping down can also compensate for some of the accumulated error by increasing the DOF. For most lenses, the best focus compensation is probably achieved at f/8 to f/11. The weather has finally warmed up in Southeast Michigan and the leaves are just budding out. Many landscape IR photographers will tell you that there aren't enough leaves to make a good photo at this time of year. In my experience, the Spring is an excellent time to capture silhouettes (see my previous post) and small leaves against a darker branch. Some of these images can be quite dramatic. In this post I will share three images that I took yesterday. The shirtsleeve weather was a welcome respite from the bitter Michigan winter. 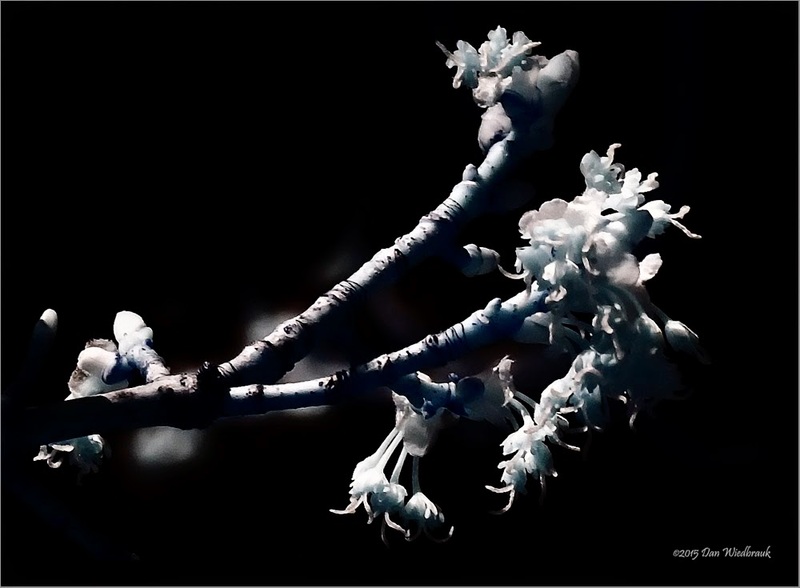 Infrared photo Ornamental Crab Apple leaf buds. 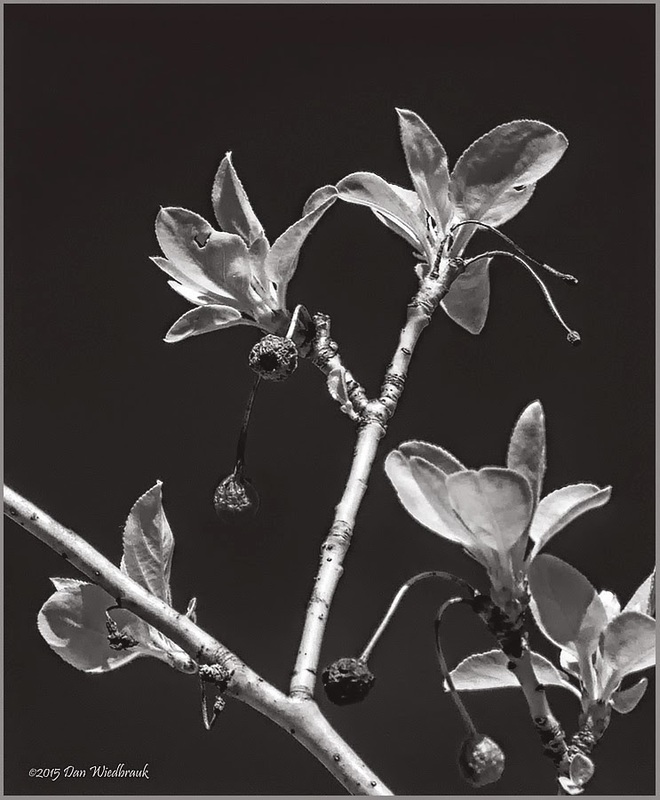 The first image is a high-contrast black and white photo of leaf buds from a flowering ornamental crab apple tree. 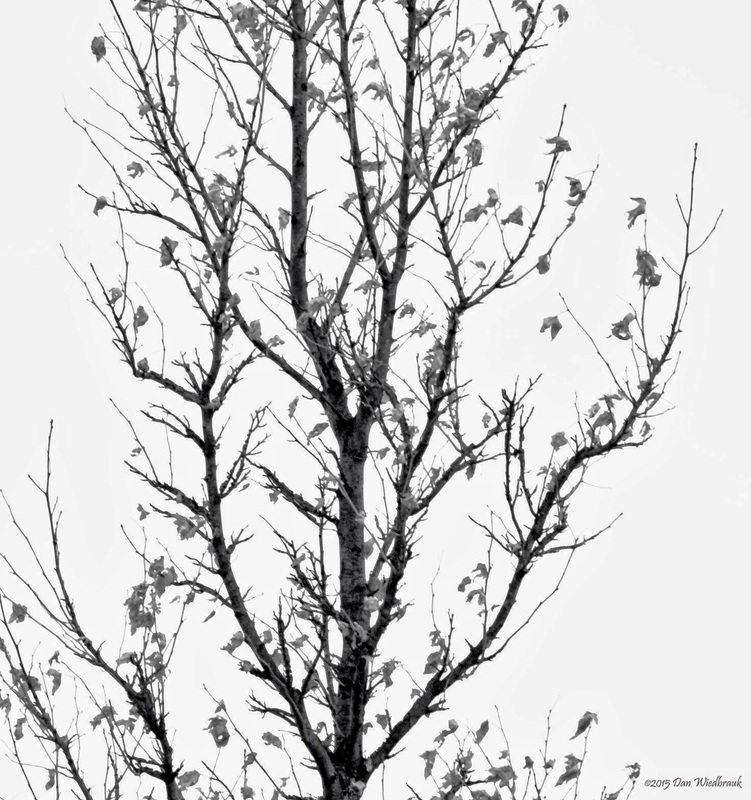 The branch was shot against a clear blue sky using matrix metering. This made the sky very dark. I noticed the light was making high contrast shadows on the leaves and the branches. The brown thing is a dried up crab apple. Post-processing was rather simple. 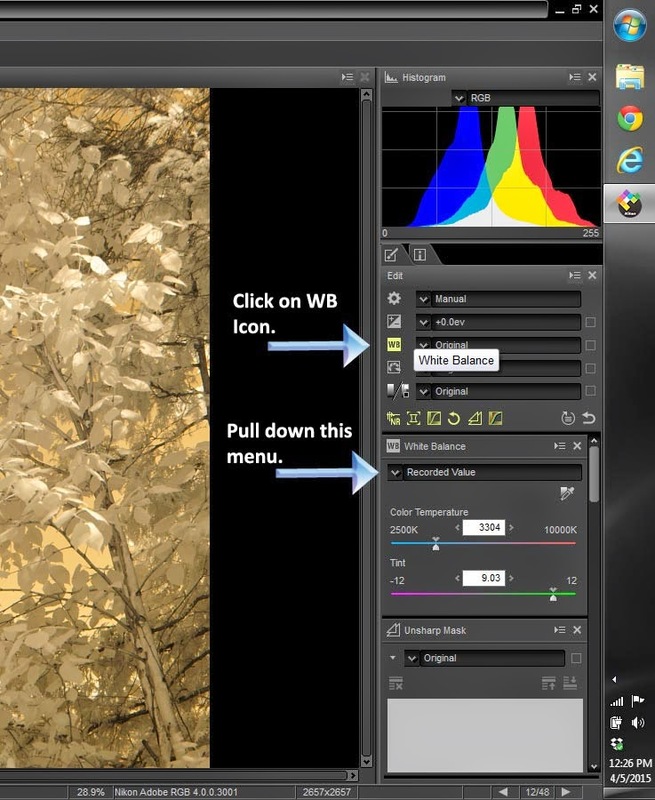 I set a WB in Capture NX2 and converted the image to a TIFF and worked on it using Photoshop CS5. The original image was so contrasty that I did not have to convert it to black and white. I set a black point on the background, added some contrast, toning, and sharpening to produce the image you see here. 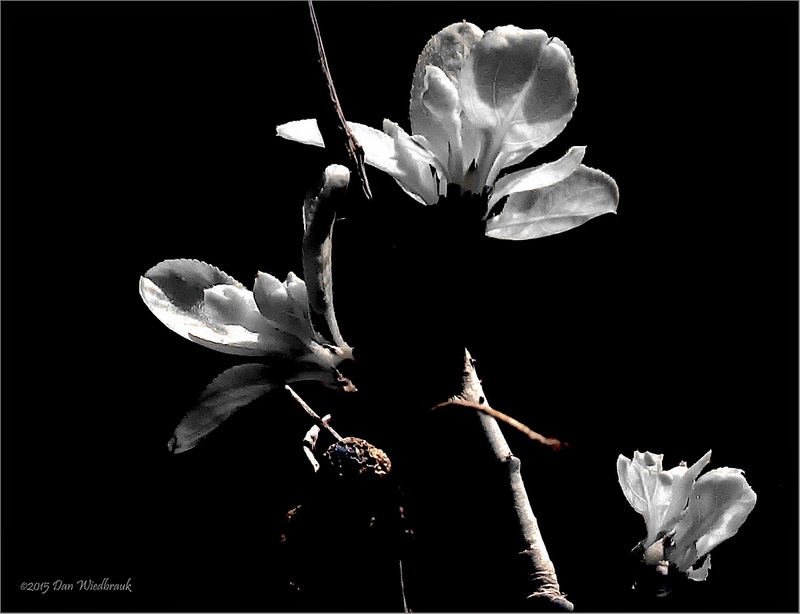 Spring buds in IR. Domino's Farms in Ann Arbor Michigan. The second photo is from an unknown tree I found at Domino's Farms here in Ann Arbor. I set the WB in Capture NX2 and did the rest of the processing in Photoshop. Once again, I was able to capture a high contrast image that did not need to be converted to black and white. I used the NIK Detail Extractor filter (large details) to provide more separation for the leaves. I also used a Dark Contrasts filter to increase the contrast. I did not remove the cyan coloration in the leaves appeared because it provided some visual interest. In this photo, the branches are as interesting as the buds and stamens. Ornamental Crab Apple leaves, Springtime. Infrared photo. This image is also from an Ornamental Crab Apple tree taken against the blue sky. The original OOC image had a natural gradient in the background that went from black at the top to dark maroon at the bottom. the leaves were also maroon in color. The maroon coloration on the leaves resembled a duotone process so I decided to follow that path. 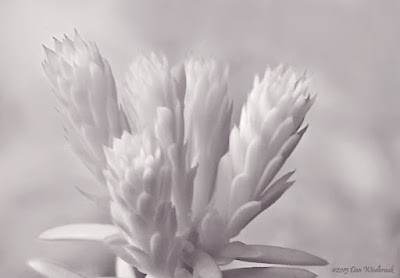 The image was converted to Greyscale and then to Duotone using Photoshop CS5. I used Pantone 8040 C for the second duotone color. While this image isn't as dramatic as the first two images, the duotone toning brings out the light and shadow gradients. All of these photos were taken with a Nikon D90 (standard 720nm conversion), Nikkor 105mm f/2.8 VR lens, and ISO 200. I used matrix metering and spot auofocus. Hope you had a great Spring! As I mentioned in my previous post, the Nikon Capture NX-D is Nikon’s new freeware replacement for the venerable Nikon Capture NX2 program. 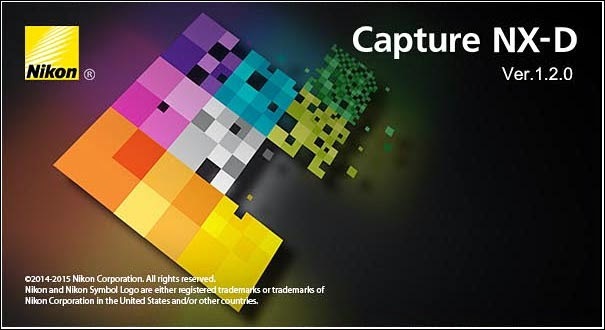 Capture NX2 was a full-featured photo editing program created by NIK software in collaboration with Nikon. 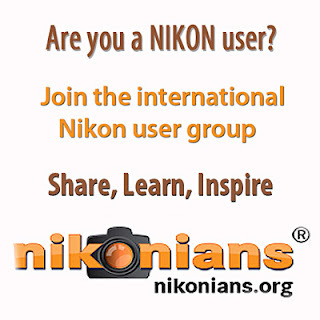 When Google purchased NIK, the collaboration stopped and Nikon had to scramble to produce a replacement product. The result was NX-D. Capture NX2 is no longer supported by Nikon. 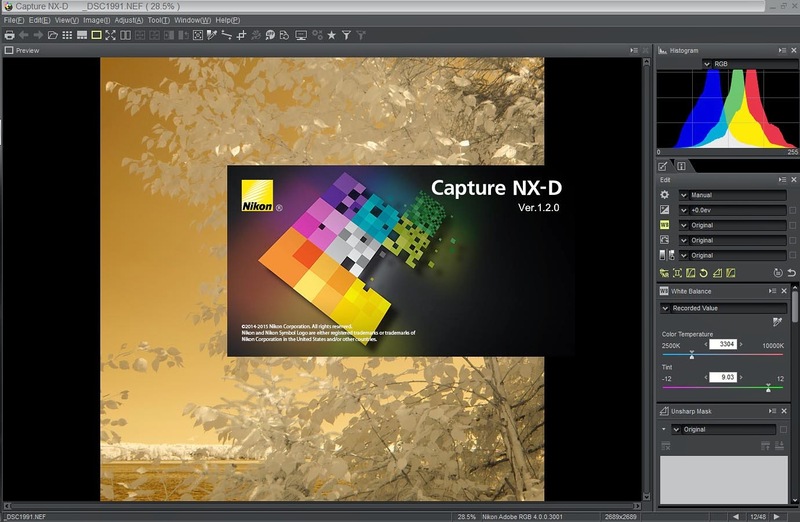 CNX2 was the workhorse program for many Nikon IR photographers because the most Nikon cameras cannot set a custom white balance for infrared light. They just don’t have enough adjustment to white-balance these images. You can check out my white balance post for more information. Now, let’s get to the real purpose of this post -- describing how to set a white balance and perform a channel swap using the new NX-D program. Step 1. 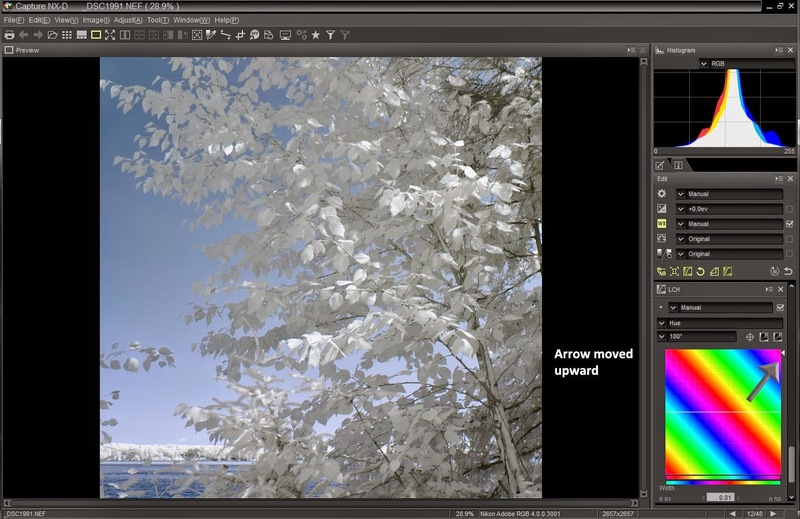 Open your RAW image in NX-D. As you examine the user interface, you will notice that most of the editing functions are arranged on the right side of the screen. Step 1. Open the image in NX-D. Step 2. Click on the WB icon on the right panel. The WB editing panel will appear. Click on the down arrow next to “Recorded Value” to open the white balance menu. Step 4. The cursor will become an eyedropper and you can click on a point that should be gray in the image. If you have included a gray card in the image, click on that. 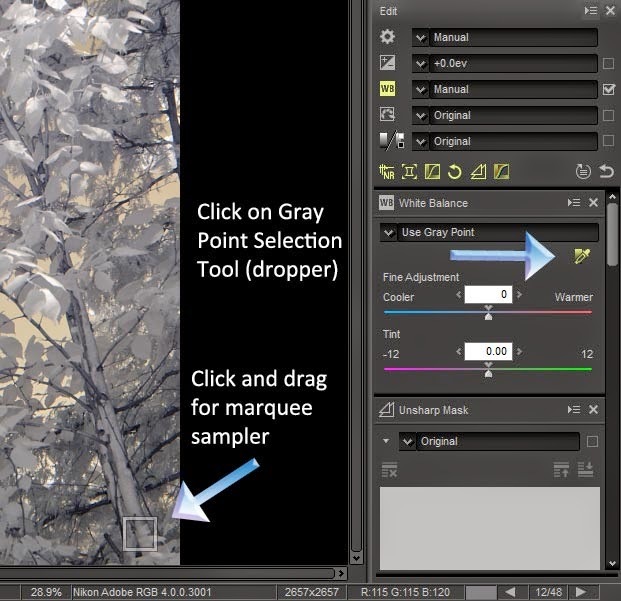 To sample a larger area, click and drag to choose a larger area to sample. Compared with CNX2 which could sample the entire image, the NX-D marquee is quite small. You can use the Fine Adjustment and Tint sliders to dial in the appropriate amount of white balancing. Step 6. 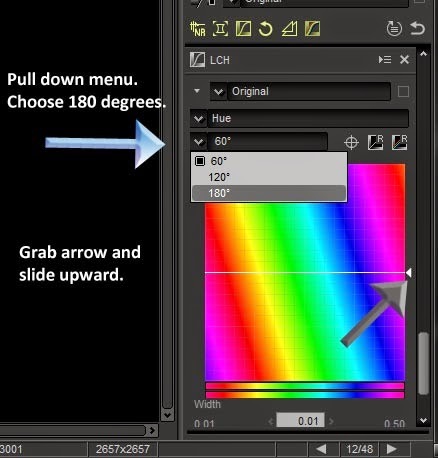 Click on the down arrow next to “60 degrees” and choose “180 degrees.” Click on the white arrow on the right side of the display and slide it upward until the sky is the color you want. Step 7. This is what the sky looks like when the arrow is moved upward. I usually export the image as a 16-bit TIFF file at step 5 and do the rest of my post-processing in Photoshop. On rare occasions, I will perform a channel swap in NX-D and then export to a TIFF. I really don’t do any photo editing in NX-D. I hope you find this explanation helpful.